"Rather like the Dutch election which saw the centre-left collapse after being the minority coalition partner, plenty of voters are looking for alternatives to the status quo....The new FDP leader Christian Lindner has effectively raised his profile." For yet another illustration of how the political landscape and betting sentiment is constantly changing fast, check out the odds for next Sunday's German Federal Election. Back at the beginning of 2017, with the world still in shock following Brexit and Donald Trump's election, many believed that mainstream Europe and most dramatically Germany could also fall under the spell of the Alt-Right. Geert Wilders' PVV were heavily odds-on to win the Dutch election, Marine Le Pen a strong second favourite in France and the AfD's Frauke Petry trading in single figures to be the Next German Chancellor. Even if that last earthquake was still a relative longshot, punters believed Angela Merkel was under serious pressure, trading around even money for a fourth term. One week out, she is rated almost certain at odds of just [1.05], equivalent to a 95% likelihood. Her CDU/CSU party are a [1.01] (99%) chance to win Most Seats. Therefore to find a bet with any sort of meaningful returns, we either need to back an upset - for which there is literally no indication - or focus on speciality markets. In addition to the projected vote share of the main parties, the most interesting involves the make-up of the Next Government, which will almost certainly be a coalition. Currently Germany is governed by a grand coalition that will feel alien to political observers in the English-speaking world. Merkel's centre-right party share power with the centre-left SPD, led by Martin Schulz. The equivalent of a Conservative-Labour pact in the UK or Republican-Democrat in the USA. Unimaginable, right? Yet not only has that arrangement survived the full term but it is hot favourite to carry on into the next Parliament, trading at odds of just [1.6] (63%). For my money, that is well worth opposing. The reason this deal came into effect was the collapse of Merkel's previous coalition partner. The FDP - a free-market liberal party, definitively on the Right - fell below the 5% threshold required to win seats for the first time since WW2. Polling around 9%, they will certainly bounce back to some extent this time. Perhaps enough to recreate their former coalition or, if not, to participate in a wider three-way deal involving the Greens. There are three reasons why this is a likely outcome. First, small parties are surging. Rather like the Dutch election which saw the centre-left collapse after being the minority coalition partner, plenty of voters are looking for alternatives to the status quo. For a Leftist unhappy with the SPD, Die Linke or the Greens are plausible alternatives. Second, the new FDP leader has effectively raised his profile. At 38, Christian Lindner is running a modern-looking 'Digital First' campaign, focused on education. He's building an image reminiscent of Emmanuel Macron, although there are profound differences with the French President regarding the EU. On arguably the most salient issue, Lindner proposes the creation of asylum hubs in Africa for migrants - a significant toughening of the party's stance, distinct from the SPD. Third, some sort of CDU/CSU + FDP arrangement makes more ideological sense. 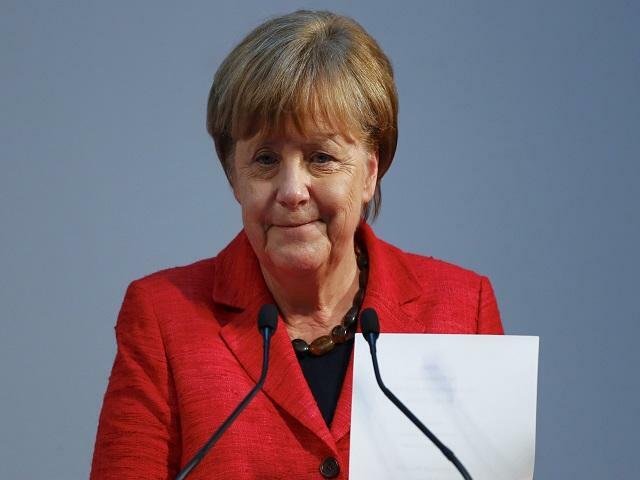 Merkel's mid-term blip came in response to admitting nearly 1M migrants, mostly from Syria, and this remains extremely controversial on the German Right. Though portrayed by the likes of Trump as a liberal, her party is fundamentally a conservative, christian, nationalist party. Indeed, there are clear parallels to be drawn with the Dutch election. There, the governing Conservatives didn't shy away from the culture wars surrounding immigration and Islam - but avoided the overt racism of the Alt-Right. Wilders was punished for being the 'Dutch Trump' - attacked as a racist amateur clown and excluded from coalition talk by rivals. The political mainstream reclaimed the issue that was driving voters towards the extremes. The idea of a far-right party in Germany is unthinkable, and even at their peak the Alternative for Deutschland (AfD) were only half as popular as Wilders' PVV. They have no chance whatsoever of finding coalition partners so many may see them as a wasted vote. In contrast, Lindner is offering those voters a means of expressing their discontent, influencing government policy without blowing up the system . I expect the FDP to do relatively well, perhaps scoring double-digits. On the other flank, the Left vote could fragment further as the smaller parties benefit from their extra campaign coverage. Schulz is calling, in vain, for a second head-to-head debate with Merkel. It is easy to understand why.